Signature hand cream and gift box for $25 with any gift card, free shipping on orders over $75*. 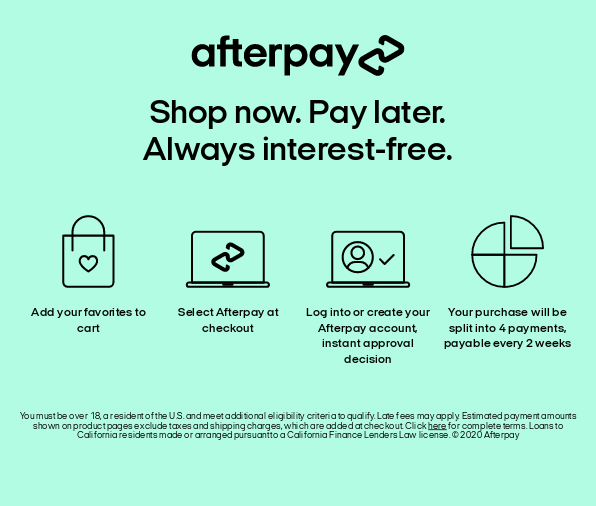 AfterPay shop now. pay later. The Organic Infusion Facial is our signature facial treatment designed to deliver relaxing results. A flash facial using endota spa Organics™ skin care to give skin a burst of hydration. Feel radiant with this results-based facial that offers the perfect combination of exfoliation and cell regeneration. This clinically tested, high performance facial uses the latest technology to deliver collagen stimulating, anti-ageing results. Brighten the complexion while restoring & strengthening the skin with this deeply exfoliating treatment. This powerhouse skin rejuvenating & anti-ageing facial delivers four results-based treatments in one. A series of targeted treatments used to repair common skin conditions & address concerns. 4 x 30-minute sessions. Power Programs allow you to combine the facial treatments best suited to your concerns into an ongoing maintenance program. Laser Genesis by Cutera is a safe and effective laser treatment which naturally stimulates collagen and elastin production. Feel stress melt away with this nurturing massage designed to induce full body relaxation. Restore balance with this massage treatment designed to work into the muscles and release tension. Your qualified Remedial Therapist will assess your needs and tailor this massage to suit you, focusing on areas of muscle tightness and pain. Soothing warm stones gently help to release pressure and tension from the body, restoring energy and vitality to your whole being. Nourish your body and relax your mind with this tension relieving massage designed specifically for pregnant women in their second or third trimester. For those short on time, this massage is designed to help ease tight muscles through the neck, shoulders and upper back. For those who know what they want. Your Therapist will tailor this relaxation massage to meet your individual needs. Surrender and let go completely while your skin is nourished and a sense of peace is restored with this Organics™ combination of our signature facial and massage treatments. Purify, tone and heal with this invigorating body treatment. The ultimate time-out for pregnant women in their second or third trimester. This reviving full body experience combines a relaxing massage and nourishing facial with a stimulating foot massage, nail care and polish. A restorative ‘feet treat’ to soothe and revitalise tired aching feet, calm the mind and relax the body. A total body relaxation treatment with glowing results. This detoxifying treatment will cleanse, de-stress and refresh your entire body. More than just a standard polish, an endota spa manicure is also an aromatic sensory journey bringing calm to both mind & body. A rejuvenating treatment for your feet including an aromatic sensory journey, calf & foot massage and nail care. A soothing pedicure to relax the body and settle the mind. Wax treatments at endota spa include intimate (Brazilian, bikini or g-string), leg and arm waxing and body waxing for both men & women. An endota spa Organic™ full body spray tan delivers an even, natural looking & long-lasting tan, using organic ingredients including walnut shell, witch hazel and sea kelp. Our endota spa tinting treatments provide professional, gentle & long-lasting results. Treatments include lashes, brows, or lash + brow tint options. Book tinting as a stand-alone treatment or add a tint service to an existing booking. This gentle exfoliating cream contains bamboo and jojoba beads to effectively remove impurities and spent skin cells. The presence of healing davidson plum and antioxidant-rich amla berry aim to treat the signs of premature ageing. Suitable for normal to dry or dehydrated skin. Gently massage onto damp skin. Rinse well. Avoid eye area. Aloe Barbadensis Leaf Juice*, Water (Aqua), Vitis Vinifera (Grape) Seed Oil, Glycerin, Cetearyl Alcohol, Bambusa Arundinacea Stem Powder, Jojoba Esters, Glyceryl Stearate SE, Sodium Stearoyl Glutamate, Benzyl Alcohol, Xanthan Gum, Carrageenan, Potassium Sorbate, Citrus Aurantium Bergamia (Bergamot) Fruit Oil*, Dehydroacetic Acid, Citric Acid, Citrus Aurantium Dulcis (Orange) Peel Oil*, Cananga Odorata Flower Oil*, Cedrus Atlantica Bark Oil*, Citrus Aurantifolia (Lime) Oil*, Pelargonium Graveolens Flower Oil*, Syzygium Leuhmannii Fruit Extract *, Acronychia Acidula Fruit Extract*, Davidsonia Jerseyana Fruit Extract*, Carica Papaya (Papaya) Fruit Extract*, Rosa Canina Fruit Oil*, Emblica Officinalis (Amla) Fruit Powder*, Boswellia Carterii Oil*. *50.8% organic of total. 99% naturally derived. Native bio-active plant complexes awaken your senses nourishing, rejuvenating and enriching your body. Love this product? Leave a review here. "I believe confidence is like magic"
Sign up to receive the latest news, offers and updates from endota spa.